I know, I know…it’s hard to think about fall and pulling your sweaters out of the closet when it’s still 95 degrees outside. But, I know fall is coming soon (crossing fingers). 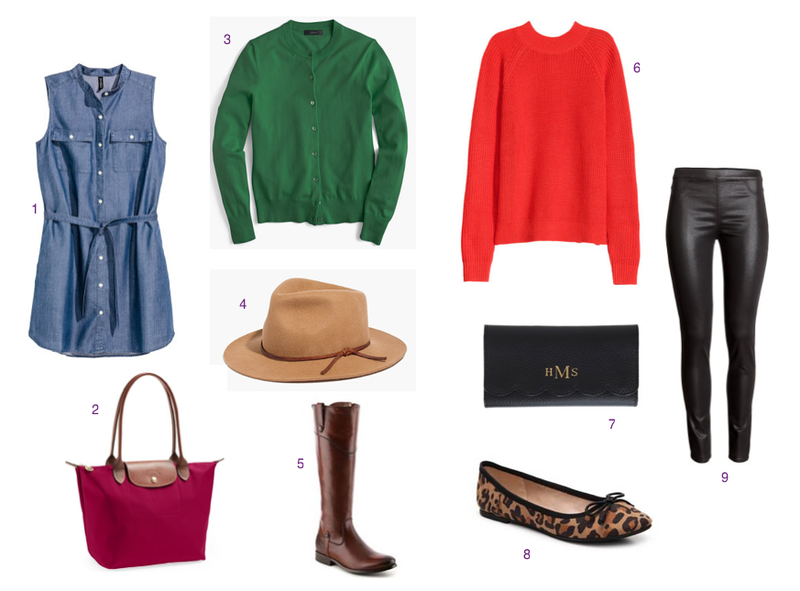 So, I decided to compile a few of my favorite fall pieces for you to check out. My all-time favorite place to shop for basics would definitely be H&M, but I’ve linked a couple of other great stores, as well. I like H&M because they are affordable and I feel like their stuff fits me well. I’m okay splurging on things I know will last a long time (like boots or jeans), but with my line of work, I don’t want to spend a fortune on clothes when they might get smeared with glue or things that come out of faces. So, check out a few of my recent favorites & happy fall shopping! I chose these pieces mainly because they’re timeless and I’m all about timeless. I find that’s a pretty good way to explain my closet. I also really love using color no matter the time of year. I want to be able to reuse things through many seasons. Having a timeless capsule wardrobe is something I learned in etiquette class back in the day (yes, my family sent me to etiquette classes…haha) and it’s stuck with me ever since. The leather leggings are a bit trendy, but it’s always good to have a few pieces like that to add to your capsule wardrobe. Cardigans, a good pair of leopard flats, riding boots, skinny jeans, cozy sweaters, clutches, a button down dress and Longchamp bags never go out of style. Ps. I’ve loved my Longchamp bag for a long time, so I think they’re worth the money if you were wondering. Happy fall, friends. Here’s to hoping we get to wear our sweaters and boots soon!